Well, our online store is NOW LIVE! And we're shipping the first packages out TODAY. Use discount code 'THP2018' for a 25% discount on all peppers. Please note that due to California's ban on import of peppers from the rest of the country, we unfortunately CANNOT ship fresh pods to California. Aw I placed my order without seeing the discount thing in this thread. LOL whatever. I'm just happy to actually be getting fresh pods. Those are some fantastic prices and great selection! I will be sending your website out to a few amigos! Cheers! Just checked shipping rates! Totally Reasonable!!!! Most Excellent! Edited by Voodoo 6, 20 August 2018 - 09:23 PM. This year I only grew open pollinated Big Sun, they are gigantic, and multicolored. Also, some have tails. Because.. open pollination. So tasty, but soooo damn hot. I realized the other day that I've never bothered to weigh the peppers in the SFRB's I got from PBM so I have no idea about how many peppers are in half a pound. 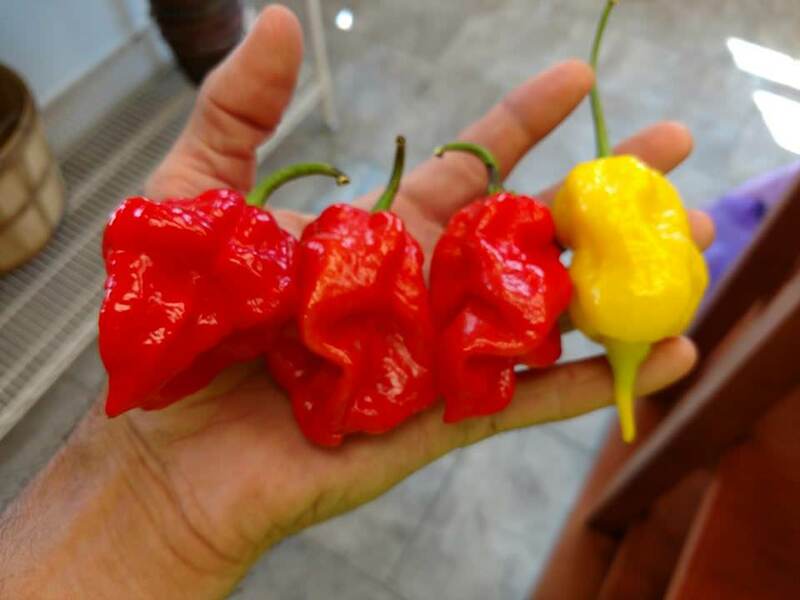 I ordered fatallis and both types of scotch bonnets. Just placed an order. Looking forward to getting some fresh peppers! a. Shelled popcorn, seed for planting, or clean sacked grain for human consumption. b. Beans in the pod or pepper fruits in lots or shipments of ten pounds or less. c. Seedling plants or divisions without stems of the previous year's growth of aster, chrysanthemum or hollyhock. 2b appears to allow for shipments of pepper fruits less than 10 pounds. Definitely don't want you getting into trouble, but there are a lot of people in California and if this allows you to ship here it may increase your business opportunities. hmmm "Very pungent chili peppers may be exempt"
Edited by Will-zone10a, 15 September 2018 - 12:41 PM. After receiving orders totaling over 15 pounds, I'd like to say a thing or two about Lawrence Family Farms. 1) They have great peppers that are delivered quickly and in excellent condition. Minimal trimming is required to prepare for the freezer. 2) They offer very good prices on products and shipping. 3) The customer service provided by Trent is amazing and he is an absolute pleasure to do business with. I will definitely be buying again from this farm. Highly recommended.